Hockey has come a long way in four decades, from equipment to styles of play and the level of competition. The two hockey powers credit each other for developing their games. 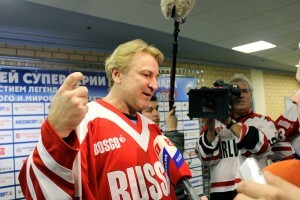 Soviet forward Boris Mikhailov remembers learning a great deal from the Canadians, mostly about equipment, “Our jerseys were not made out of nylon like the Canadians, but of pure wool” Mikhailov said. 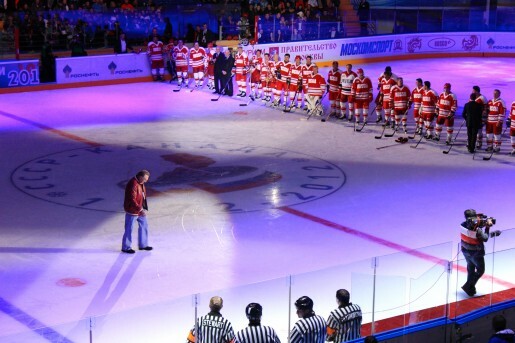 The Summit Series Anniversary brought us back to the days of hockey xenophobia, but reiterated that hockey no longer has borders. As it celebrates the advancement of the game, many of the greats continue to look for ways to improve the sport. “Kids today have to learn to play together” Anderson believes, “one person cannot win a game. It takes a whole unit, playing together as a team. Kids today have gotten away from that and we have to bring it back.” Despite the hostile attitude many players held towards their opponent decades ago, the anniversary event made friends of former foes. “After 40 years, I am sad I have not been back to Moscow” Esposito said, “It is great to be with old friends.” As hostility regresses and the game progresses the only thing that remains the same is history.